We would miss her performance at Harrysong's Kingmaker concert. Her dreams and hopes to 'blow' are gone with the wind, the saddest part is, she would be joined by her four old daughter faraway in the land of no return. 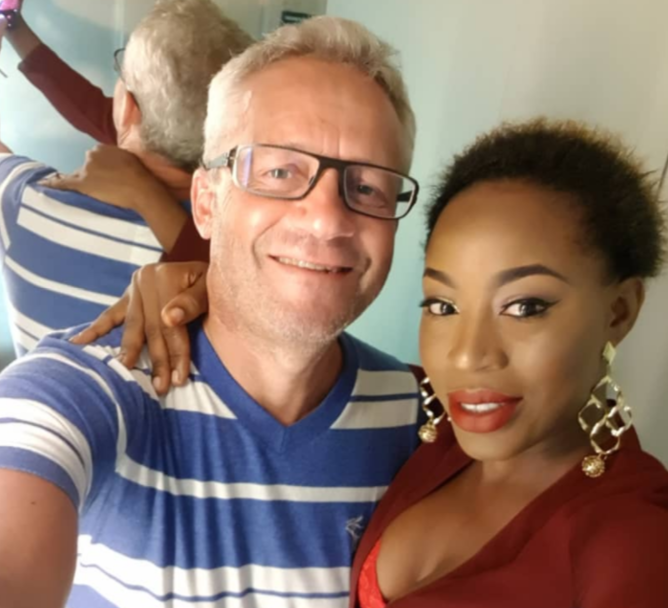 Upcoming musician, Alizee (Zainab Nielsen) and her 4 year-old daughter, Petra's deaths have left many wondering what exactly happened. Law enforcement officers are now looking to unravel the mystery. Both were allegedly killed on Thursday, April 5, 2018, at their Banana Island residence. The death has been linked to her husband Peter Nielsen, a Danish citizen, whose arrest was ordered by the commissioner of Police, Edgal Imohimi. Police spokesperson, SP Chike Oti, confirmed that the force has reached out to the Danish embassy in Nigeria, informing it of an ongoing investigation involving her citizen. Although the cause of death has not been determined, various online sources say that the man shot his wife and daughter with a gun. While another source says the man strangled them to death, after years of domestic violence. Before her murder, Alizee was scheduled for a list of imminent activities including Harrysong’s "Kingmaker Concert" expected to hold at the Warri Stadium on Sunday, April 29, 2018. The couple had been married for five years and although Alizee is still upcoming, she is signed to a Malaysian based label.